First visit to wagamama. Food was amazing, the smells, the taste and so fresh. Loads to choose from and the staff were all super friendly and helpful. Definitely recommend a visit, we’ll certainly be back and soon! 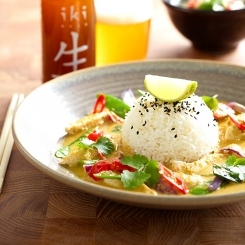 Inspired by the colourful and exotic dishes of Japan and Asia, Wagamama’s offers a range of fresh and lively foods that will tickle your palate and enliven your soul. Choose from a variety of starters including Edamame beans served with salt or chilli garlic to pork ribs in a Korean barbecue sauce, or go straight to the main courses and choose from a wide selection of dishes from pad thai to curry; and a number of refreshing Asia-inspired salads. And you can wash it all down with a wide choice of wines, soft drinks or refreshing beers including Ashai, Singha, Kirin and Kausho – a lime and ginger pale ale. Don’t be put off by the unfamiliar lingo – if you don’t know your Teppanyaki from your Donburi or your Ramen from your Omakase the restaurant’s menu gives a full explanation of each dish and you can always ask the staff. 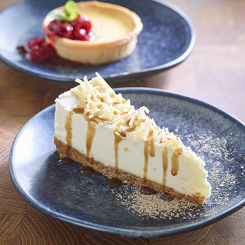 Meanwhile, here’s a handy guide to four of the restaurant’s most popular range of dishes. Teppanyaki – a plate of sizzling noodles, quickly stir-fried on a flat griddle meaning you get soft noodles and crunchy vegetables. Donburi – a bowl of steamed rice topped with chicken, beef or mixed vegetables. 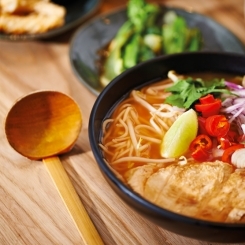 Ramen – a hearty bowl of hot broth filled with fresh Ramen noodles, toppings and garnishes. Omakase – the chef’s specials.